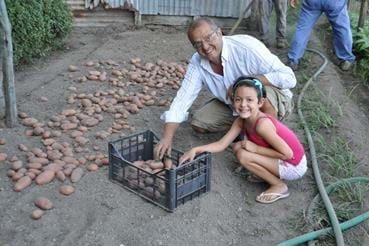 Papà Gennaro and Paola in the garden... what a beautiful summer memory!!! LOVE photos like this to remember our family times together in the garden!!! July is a VERY busy time for harvest in our garden, and not long ago we all chipped in to harvest the potatoes!!! 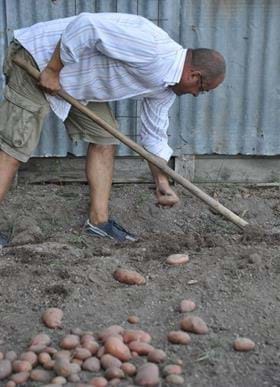 It's hard work... but Gennaro like working in the soil and digging up the pototoes. A HUGE thank you to him for all is hard work!!! 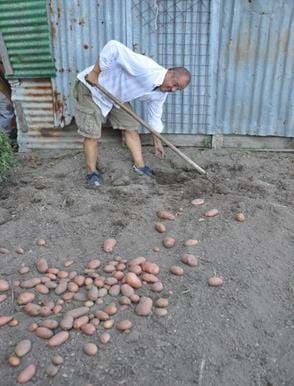 First you have dig around the potato plant to loosen the soil... and then very carefully dig up the potatoes. 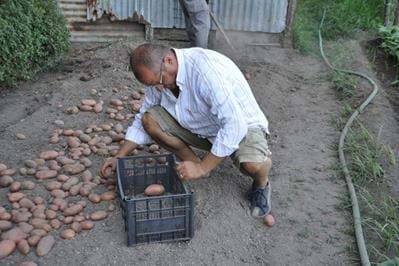 It's best to use your hands to dig out the potatoes since they are tender and easily damaged!! Gennaro uses a "zappa"... or garden hoe... to loosen the soil first. But as with SOOOOO many things in the garden, the hands are always the best tools!! Making sure not to miss any under the soil!! 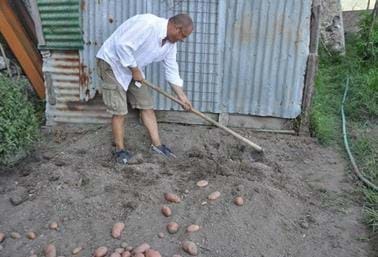 Once the potatoes are dug up... they are left on the top of the soil for awhile in order to "cure." 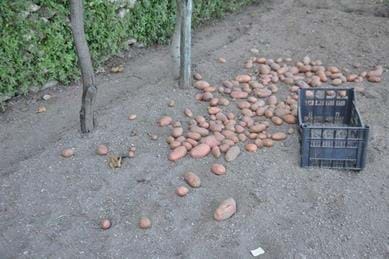 We harvest in late afternoon when it's not too hot... and then gather all the potatoes in the evening. 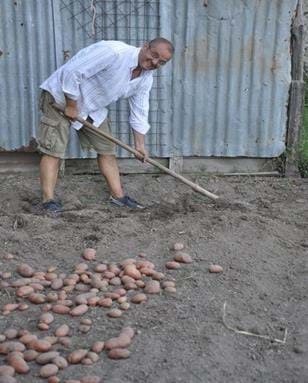 As the harvesting continues... Gennaro begins to collect the potatoes that are ready to be stored. Papà Salvatore and Gennaro work together in the garden during the busy summer months. There is SOOOOOO much to do every day!!! Everything is fun with papà!!!!! 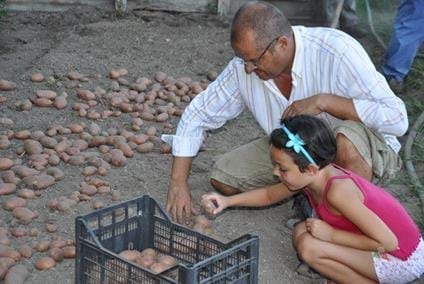 Our daughter Paola loves to help out with whatever Gennaro is doing in the garden!!! 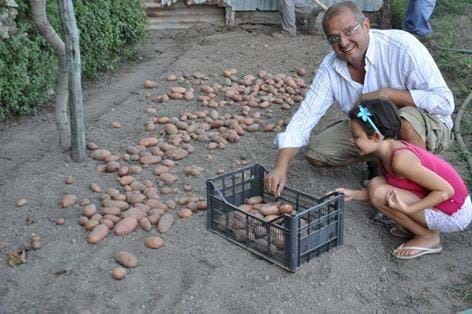 Gathering the potatoes that we will enjoy together as a family... such an amazing experience!!!! Look how many we have!!! !